With a fall protection rescue plan, procedures are put in place to rescue workers when a fall accident has occurred. While a basic fall protection plan or guide covers the outlines of safe working at height in order to prevent fall accidents, a fall protection rescue plan is aimed at rescueing workers after a fall. On this page, we will share some practical tips and guidelines in drafting an effective and safe fall protection rescue plan. As described already, a basic fall protection plan or guide only covers the guidelines for safe working at height to prevent fall accidents. A fall protection rescue plan is something completely different. This plan is a guideline for rescuing workers after they have fallen and rescue is needed. 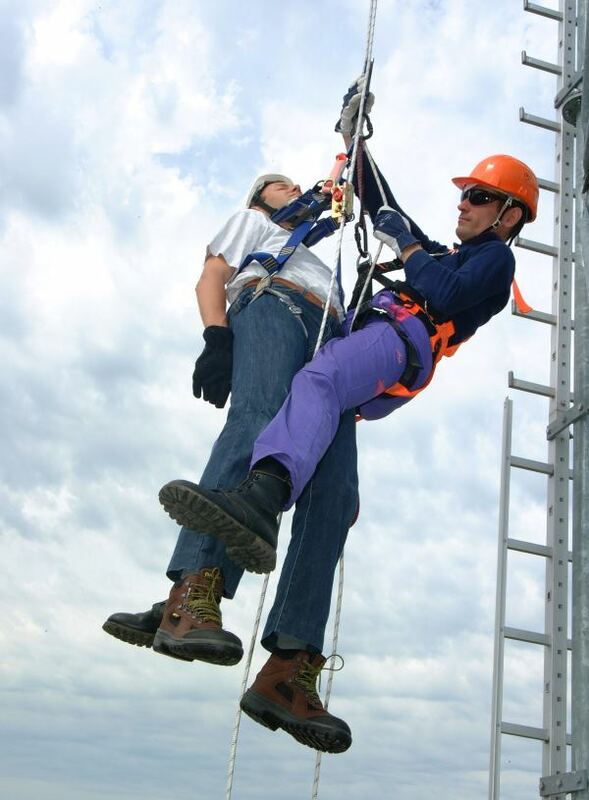 A fall protection rescue plan describes the procedures to rescue the victim of a fall accident. How will a rescue plan help? When a fall arrest system saves a user from serious injuries or worse, there is a relief amongst co-workers that their colleague is safe, at first sight. The next step is to bring the fallen worker down safely and quickly. 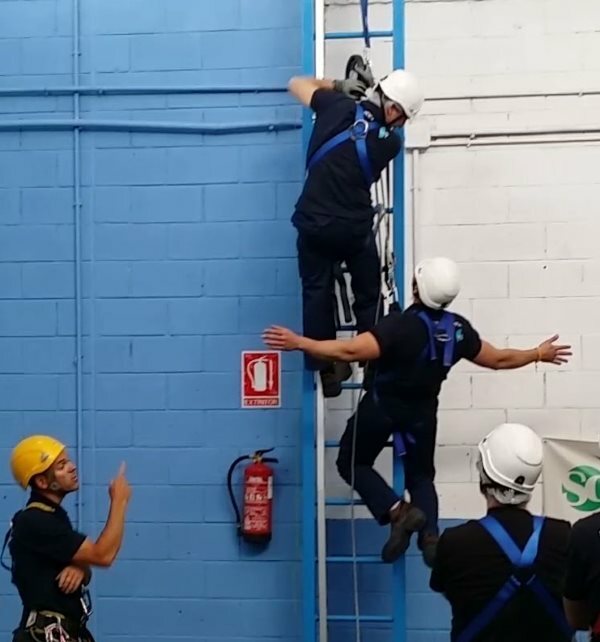 There will be some form of panic after the fall and guidelines are needed to effectively run through certain steps to exectute the rescue operation. Emergency services don’t always have the right equipment to save someone that is suspended at height. A fall protection rescue plan will provide guidance in what is needed to save a person. Want to know about the rules and regulations concerning a fall protection rescue plan? Read this article about OSHA and ANSI. Preventing the fall from happening is the most important aspect. This is why fall protection regulations are set up for safe working at height. But, whenever the fall protection system has arrested the fall, a rescue plan must come into effect to comfort and help the fallen worker and bring him safely to the ground as quick as possible. Besides needing a rescue plan for workers who fell from heights, workers can also get unwell or collapse while working. This could happen when they are working on a roof for example. Knowing how to transport workers to an ambulance at ground level can save lives. When dangling in a harness above the ground, the worker has to be rescued quickly, before a Harness Suspension Trauma (HST) occurs. HST is an effect that occurs when the human body is held upright in a harness without any movement for a period of time. Quick response and rescue is needed, because the leg straps of the harness can disrupt the blood circulation, leading to blood flowing back to his brains and vital organs. Eventually, this can be fatal. 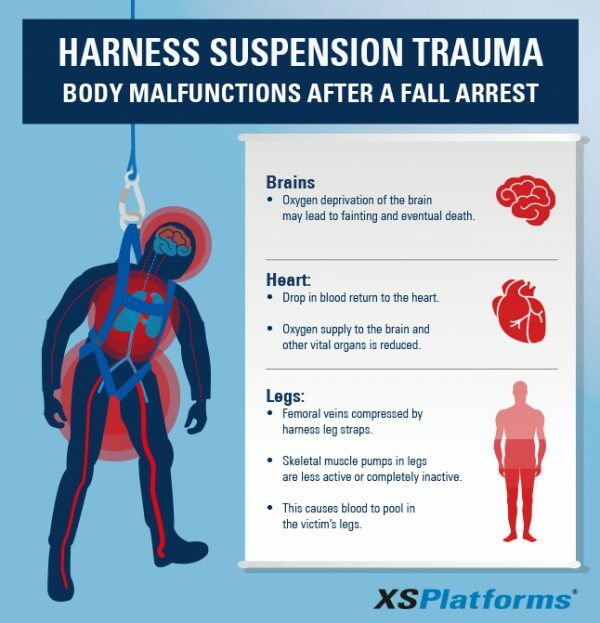 For more information about Harness Suspension Trauma, read the blog about how to prevent HST after a fall arrest. When an incident happens, every second counts. Pre-established guidelines are definitely needed to perform the correct actions fast and not to waste any time. Like stated before, emergency services don’t always have the experience or equipment and this will cause delay.